Spirits were high at the 8th Annual Great American Distillers Festival. 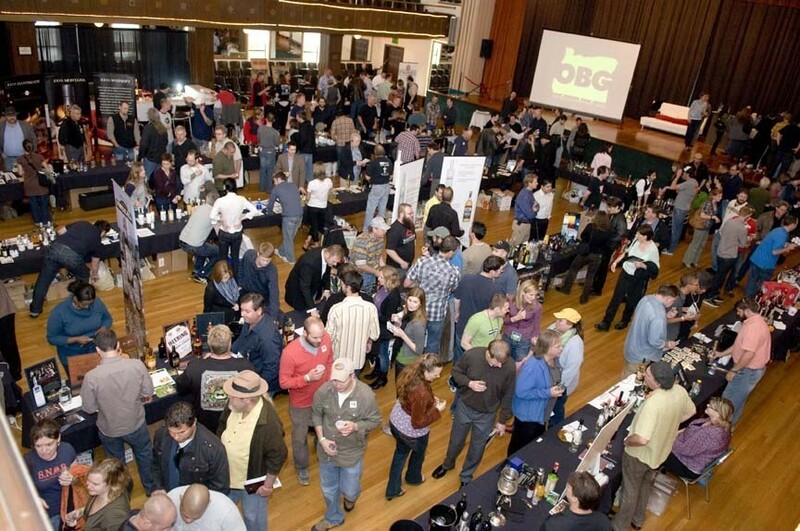 The Great American Distillers Festival celebrated its eighth birthday last week, cramming 42 distilleries from across the map into one room at the Tiffany Center on SW Morrison. Spirit reps from Colorado, Texas, and Washington made their way to Portland to hawk their wares and “shake” things up for eager and thirsty attendees. Naturally, in addition to merchants from out of state, there were numerous Oregon distilleries representing, reminding the good people of Portland that homegrown artisan bounty is not limited to coffee and beer. As the hours passed, the temperature rose and drink tokens clinked as they were dropped into plastic buckets at each table. From moonshine to infused vodkas to the “Neat Glass” (a new nosing glass that's supposed to reveal elusive olfactory flavor notes), the fest had everything a liquor lover could possibly need to enjoy a nice, stiff drink. It was rather daunting to realize there were only five tasting coins issued per person to spend on various drinks. All of my coins were well-spent though, especially with gracious distillers handing over extra tastings for just one token. Peach Street Distillers, out of Palisade, CO didn’t just proffer fruit-forward spirits—though their 80 proof pear brandy was stellar, with the crisp essence of pear smoothing over the sting of alcoholic residue left behind on the tongue. Peach Street also has the distinction of being the first company to legally craft and sell bourbon in Colorado, in this case a smooth, warm 92 proof variety that takes two years to make and comes from a small batch of just 200 barrels. Something unusual caught my eye at the booth manned by Novo Fogo Cachaças, from Morretes, Brazil. All of their bottles were made of recycled materials and carried the USDA Organic stamp of approval, which are important considerations for the environmentally conscious imbiber. With a silver and gold cachaça to its name (as well as a Barrel 105 variety that you would be very lucky to find, it seems, with just 30 bottles distributed across the US), Nov Fogo's tropical tastes are perfect for warm-weather cocktails. A little bit vegetal, very fruity, and made from sugar cane, cachaça is a trend waiting to happen. The most unique, and I’d venture to say, best, thing I tasted all night was a rhubarb liqueur from It’s 5, based out of Cashmere, WA. After sipping a lot of really strong spirits, it was nice to have something a bit more tame. Since rhubarb is a bitter root, I assumed this liqueur would follow suit. I was pleasantly surprised, though, when a sweet taste rushed across my tongue and didn't dissipate into something overtly sharp and burning. It still has a kick to it, but it's much less aggressive than most of the other tasting samples on display. Seen as the opening act for Portland Cocktail Week, the Distillers Festival is a fantastic way to introduce the public to some of the spirits and companies likely to be present; before we blindly throw ourselves into this week’s cocktail frenzy, that is.